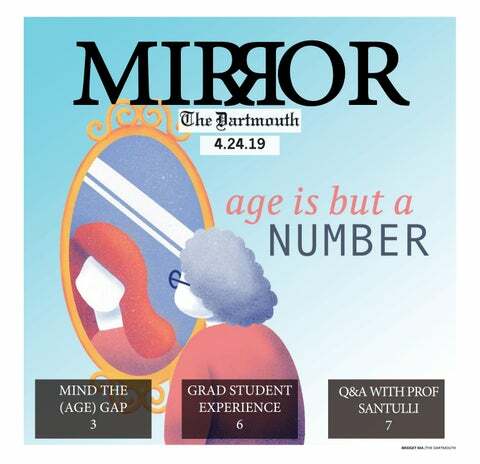 Dartmouth, as a liberal arts institution, not only encourages but also requires students to take a variety of courses in many different subjects. In a given term, it’s not uncommon to hear of students pairing engineering classes with writing workshops, chemistry labs with foreign language drills or even advanced senior seminars with introductory-level lectures. For many students, their diversity of interests is also apparent outside of their coursework in their extracurricular activities. It seems like while Dartmouth students have a general reputation for embracing many interests and passions simultaneously, there always seem to be students who somehow juggle even more activities than the norm. One might even view these students as modern-day incarnations of “polymaths” or “Renaissance men and women.” Historically, the term polymath refers to someone who excels in several distinct fields or subjects and uses their vast wealth of knowledge to confront complex issues. Sounds like the perfect liberal arts student, right? This week, the Mirror interviewed three students known on campus as multi-talented to learn more about how they successfully manage such busy schedules. Joelle Park ’19 is pursuing an economics modified with film major and a digital arts minor, but her résumé stretches far beyond what she studies. She is currently finishing a gap year at a ministry school in northern California, but she has been an active participant, and sometimes even a leader, of many on-campus groups, including Kappa Kappa Gamma sorority, Street Soul and Agape Christian Fellowship, just to name a few. She has also worked as an undergraduate advisor and as a teaching assistant for Patricia Hannaway, a lecturer in the Computer Science department. What may be Park’s most unique activity is not linked to a student group, but is rather one that she began in high school and has continued at Dartmouth: making YouTube videos. Her channel, JustJoelle1, has been active for over four years and has over 4,100 subscribers. Her most popular video, which gives viewers 10 tips to survive high school dances, has over 113,000 views, while her most popular Dartmouth-related video, a video tour of her sophomore year dorm room, has over 18,000 views. Liu admitted that she knew many of the activities that she wanted to participate in before arriving at Dartmouth. Her research process included watching videos of Sheba online before auditioning to get a sense of what the group was like. “I was one of those super gung-ho people who researched the things I knew I wanted to get involved in before coming to the school,” Liu said. Benny Adapon ’19, a geography major and Spanish minor, spends much of his time working on his current research projects. One is a Mellon Mays Undergraduate Fellowship project focusing on Sulu-an Island in the Philippines, an area that tends to be heavily damaged by typhoons. Another is a feminist response to Philippine President Rodrigo Duterte’s War on Drugs, to be presented at the American Association of Geographers’ annual meeting in New Orleans in April. According to Adapon, planning and conducting research is much more difficult off-campus in the Philippines than it is on campus, especially because actual fieldwork isn’t as large of a component in his projects at the College. “Setting up research in the real world — I didn’t realize — is so difficult,” Adapon said. When not focused on research, Adapon also dedicates his time to groups such as Asian American Students for Action and Divest Dartmouth. He has also worked an assortment of jobs: an undergraduate advisor, a Spanish drill instructor, a library graphic designer and a barista at Morano Gelato. How do these three students manage to participate in so many activities while still setting aside time for classes, friends and self-care? A common sentiment shared by all three students interviewed is that genuine interest is far more important than trying to meet others’ expectations or maintain a certain reputation. Adapon explained that if he could give his first-year-self advice, he would say to worry less about career expectations and to not be afraid to try things that seem unconventional for an international student. In a joking tone, he also mentioned that he would tell his younger self to drop the pre-med track sooner to have a higher GPA. Park, who is in a unique situation because of her gap year away from Dartmouth — and consequently all of her extracurricular involvements — has spent her time in California reflecting on her personal values and how she does not always agree with some of the values prevalent among the greater student population. Now, she feels very strongly about prioritizing herself and her individual relationships over “achievements” like leadership positions, for many of which she is ineligible due to being off-campus junior spring. Liu, who enjoys her activities so much that she even found a local dance class to take while studying abroad in Paris this past fall, has struggled with scheduling her time wisely. She said that she’s constantly working on learning, term by term, how to prioritize and decide what her interests are. Park, Liu and Adapon may be seen by their friends as some of the students who somehow “do it all,” but it’s clear that they prefer quality over quantity — whether you call them polymaths, Renaissance men and women or just some really passionate students.